February 2017 marks the fifth anniversary that www.jewish-heritage-europe.eu — the web site that I run as a project of the Rothschild Foundation Hanadiv Europe — has been online. In a lengthy interview with Liam Hoare of eJewish Philanthropy, I reflect on developments since I’ve been involved with Jewish heritage work — where we’ve been, and where we may be going. What was the impetus behind setting up Jewish Heritage Europe five years ago? JHE builds on and expands a previous version of the site that was launched after a major conference on the Future of Jewish Heritage, held in Prague in 2004. The decision by the Rothschild Foundation (Hanadiv) Europe to relaunch and expand came as a follow-up to a conference held in Bratislava, Slovakia in March 2009 that discussed the state of Jewish heritage sites in Europe as well as strategies for their restoration, use, and upkeep. That seminar, attended by international Jewish heritage experts as well as by representatives from Jewish communities in more than a dozen countries, also resulted in the Bratislava Statement, a major statement of specific ‘best practices’ about how to deal with Jewish heritage sites. JHE’s aim is to facilitate communication and information exchange regarding projects, initiatives, and other developments such as restoration, ongoing projects, best practices, advisory services and more. Its primary focus is Jewish built heritage: synagogues, cemeteries, mikvaot, Jewish quarters and other physical traces that attest to a Jewish presence on the continent stretching back to Antiquity, but it also includes material on Jewish museums and other cultural institutions. Is there anything that stands out for you in terms of how Europe‘s Jewish heritage is discussed, studied, and cared for in the five years since you’ve been running the site? Jewish heritage and particularly Jewish built heritage is a field that has been continually developing over the past few decades. 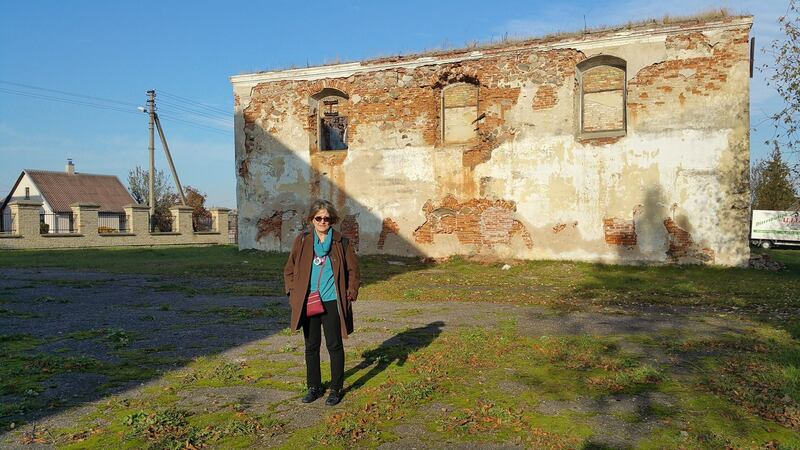 When I first became involved with Jewish heritage issues in eastern and central Europe nearly thirty years ago, I was entering largely unexplored territory. Little was known about what still existed in those countries – I felt I was ‘filling in blank spaces’ and literally putting Jewish heritage sites back on the map. At that time, even in western countries, Jewish built heritage was often ignored or overlooked. That is no longer the case. In post-communist Europe, many Jewish heritage sites are still empty or in ruins, and most Jewish cemeteries are neglected or abandoned. But there are lists, inventories, databases, and online resources that tell us where they are. Surveys have documented synagogue buildings and Jewish cemeteries. Projects have mapped old shtetls to position destroyed buildings, and other projects have digitally recreated destroyed buildings or have even recreated them in replica form. Moreover, projects of various sorts have restored, cleaned up, fenced, preserved, or protected hundreds of sites. I see all this on a day-to-day basis as I compile the JHE News Feed. Probably the site’s most powerful asset, it’s essentially a ‘wire service’ about what’s going on the Jewish heritage world today. To date, I have posted more than 1100 articles from dozens of countries, which probably constitutes the most extensive searchable database on contemporary Jewish built heritage issues. Thus, running JHE has enabled me to recognize the widespread reach, range, and scope of Jewish heritage initiatives all over Europe, as well as the challenges and controversies, from protection and preservation issues to religious concerns, the uses of new technology in research, to the various ways that Jewish heritage sites are used – and also abused. Of course, Jewish heritage work, and the situation of Jewish heritage, is different from country to country, city to city, and is dependent on many factors: Jewish community organizational matters; local and national politics; funding shortfalls, and actual on-the-ground possibilities. My feeling is that seeing what’s going on in other countries, or in other projects, can be useful to help inspire activists or help them in creating strategies for their own work. I think it is important for activists today, though many are still working on their own or in relative isolation, to realize that they are not as alone as were the Jewish heritage activists who, often on their own, blazed the trail in earlier decades. This entry was posted in Articles, In the media, Jewish Heritage, JHE by Administrator. Bookmark the permalink.